Meet the 900 Werks family. While they don’t all work full time at “The Werks”, these are the integral members of the team. 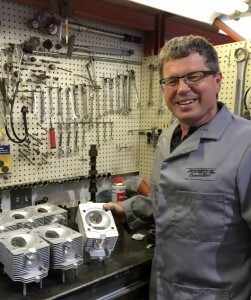 Frank Winterlik’s love and passion for mechanics and machining come naturally to him as he emanates from a long line of master technicians and craftsmen, his skills were acquired at a young age working with his father in their family business. He has been formally certified in Porsche electrical systems, fuel injection, engine and transmission rebuilding. Frank Winterlik was the founding President of the BC Interior Region Porsche Club. Which led him to a position as a Porsche Club of America Racing National Scrutineer, where he was able to use his many technical skills to over-see that racers were meeting the necessary safety specifications of the club. During this time, he had the opportunity to travel to many raceways across North America such as Mosport, Sebring, Thunder Hill, Infineon and Willow Springs. 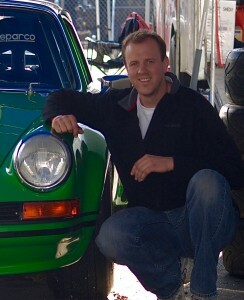 Frank Winterlik has raced many Porsches over the years. The knowledge that he learns from these race preparations he considers his research and development for the products he creates for his clients. You can often find him and his “crew”: his wife Joy, daughter Carrera, son Josh, and son-in-law Oliver at raceways throughout the Pacific Northwest. Frank Allers is well known for his racing career with Players GM and Formula Atlantic. He trained at the Jim Russell Racing School in England in 1971 and scored many championships throughout the next 30 years. In 2005, he was inducted into the Canadian Motorsports Hall of Fame. Along with this impressive racing career, Frank Allers worked as a technician for Weissach in their early days and later with MCL, as their service manager. In 1989, Frank opened his own automotive shop in North Vancouver, Frank Allers Autosport. There he provided auto repair and maintenance for Porsche, Mercedes, BMW, Audi and other high-end sport cars. In 2011 Frank Allers sold his shop in Vancouver and made the move, with his wife Kate to the Okanagan to be closer to their daughter Lisa and her family. 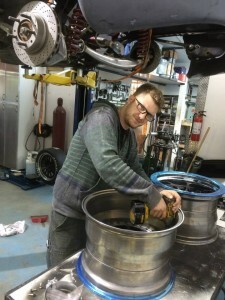 Frank Winterliks’ son, Josh is a Red Seal Automotive technician trained by Frank Winterlik. While Josh has a love for cars, his passion lies in the Audio industry. Josh works full time as a Production Manager for a large sound company, but can always be found at 900 Werks when his electrical, machining and fabrication expertise is needed. Frank’s Winterlik’s son-in-law, Oliver is a Red Seal Collision Technician. Oliver and Frank Winterlik’s relationship began over 15 years ago when Oliver came on board to help create the Porsche Cup car body kit. Oliver’s composite and body work skills, as well as his keen eye for percision are an incredible asset to 900 Werks. Oliver works full time as an Autobody Tech at Mervyn’s The Body Shop, but can be found at 900 Werks during any of the larger builds. 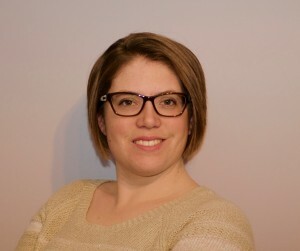 Frank Winterliks’ daughter, Carrera is the voice behind 900 Werks blogs and marketing copy. Holding a Bachelor’s of Management from UBC, she is 900 Werks’ Marketing and Communications expert. Frank Winterlik’s wife, Joy keeps everyone in check. 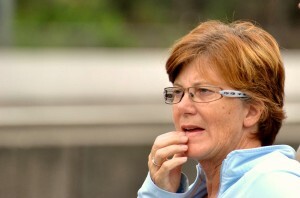 Affectionately known as the “Master of All Masters”, she is the glue that holds the team together. All Content Copyright 900 Werks Porsche Specialties Ltd.,Lake Country BC, Canada. 900 Werks is in no way associated with Dr. Ing H.C.F. Porsche AG, PC N.A. Ltd. and its Dealers.